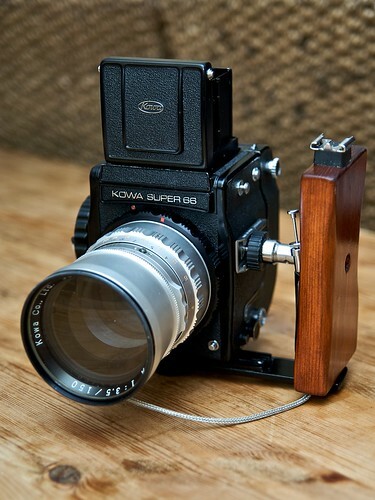 The Super 66 is an SLR camera for 6x6 cm pictures on 120 film, made by Kowa in about 1968. It takes the same lenses as the Kowa Six, and is a generally similar camera, but has detachable film magazines. Kowa outfit including Super 66 serial no. 605101, sold at the 22nd Westlicht Photographica Auction, on 24 November 2012. This page was last edited on 28 June 2016, at 05:26.